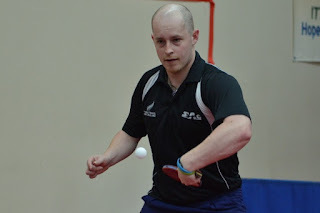 Positioning is one of the key aspects of keeping up with the speed of table tennis, if you can't get into position to time the ball well then often you will find yourself in a bit of trouble and on the back foot in a point. This article will touch on some things to practice to maximize your ability to get into the right position for every shot! This blog will focus on how to improve your footwork in topspin situations and rallies, developing from basics to mastery! See more from my Coaching Blog. Why is it so Important to Develop Good Position and Footwork? The timing of your ball contact and good solid technique rely a lot on position. If you are late getting to the ball then your timing and weight transfer will suffer. Similarly if you are too far away from the ball or the ball is too close to you then the amount of power and acceleration you can achieve in your stroke is very restricted. Also if you take a shot out of position it is likely that you will find it more difficult to maintain stability and balance, making it difficult to recover for the next shot or move to even cover the next ball. What Can We Do to Achieve Good Positioning Footwork? Well the answer lies in footwork drills whether it be multiball or single ball drills. A lot of repetition is required. So here are my ideas on how to build your footwork from the basics up. Point 1: Start by always having your knees bent slightly, low and central center of gravity over the hips and a little forward. Be sure to distribute your weight into the front of your foot more on your toes, this allows you to spring more and move quicker. Point 3: Always focus on where the ball is relative to your body. You need to try and focus on lining your contact up in the right place relative to you every time. This is the main focus of your footwork drills and the premise behind improving your positioning. Backhand side and forehand side alternating footwork is very important for developing smooth transition between backhand and forehand, the middle ground during changeover can be an easy place for the opponent to target. FIXED: Start off with one forehand, one backhand. Gradually move wider as you improve to cover more table space. Next you may change to 2 backhands, one forehand or 2 and 2. SEMI-FIXED: To add an anticipation factor try doing either 1 or 2 strokes on each side, this way you have to be prepared for the change after either the first or second ball in the rally each time. RANDOM: Now add a random element. First start with backhand to backhand and then a switch to the forehand, repetitive drill. Next you can try playing random all to your training partner's backhand. This list of drills with progression can really help build strong foundations in your game. Remember when you are practicing footwork aim for more control in your strokes so you can repeat the footwork and positioning as many times as possible each ball. Being able to play forehand all over the table is an incredibly athletic advantage to most professional players. Here are some drills to help you progress with forehand positioning. FIXED: You can start off with a two point forehand, either 1 and 1 or 2 and 2. This can be done forehand and backhand side or middle line and forehand corner for best starting results. This helps build up footwork across a short distance for playing forehands especially across the middle of the table. ADVANCED FIXED: 5 point forehand is the first drill to master, one ball to each of the lines, corner, middle, corner, middle, across the table. This helps build small explosive movements across the table, covering forehand at each point. The real advanced drill, highly common in China is the 3 point forehand. fh corner, middle, bh corner and back to fh corner to start again. This creates a wide movement from the forehand pivot to the forehand wide and helps build explosive footwork over a longer space. SEMI-FIXED: Random across a fixed area. Start by doing 1/2 table forehand random to the backhand. Develop the drill by increasing the forehand area to 2/3 or even 3/4 (most realistic for general play). RANDOM: Full table forehand. If you can master this drill then you are well on your way to becoming a table tennis deity. The combination of random placement and the need to get in very good position for each ball in order to remain balanced and in control is incredibly difficult. This is the ultimate in topspin table tennis drills. You can play a number of match type games like matches where only long topspin balls are allowed. A good example is a random topspin game starting with a basic serve to the backhand, be sure to keep the score so it becomes competitive! You can also play backhand side to backhand side games or forehand only matches. There are a lot of ways you can make drills feel more like match situations. These can be great for developing your ability to move for the shots you need to take when under more pressure. Remember improving footwork is also an aspect of physical training. There are a lot of footwork drills you can do without a bat and ball. Anything which helps you improve leg power and speed will help with your footwork. You can do rapid flurries on your toes to help strengthen your calves and make you lighter on your feet. Skipping: If you have a rope handy then make the most of it. Skipping is great for keeping the spring in your toes and light on your feet. 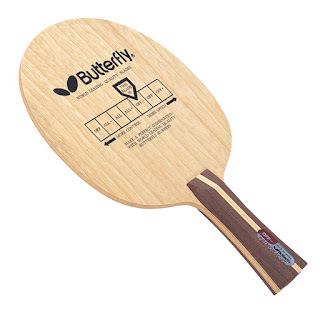 It has long been seen as a good way of training for table tennis and also in particular boxing! Shuttle Runs: You can do things like shuttle runs which involve running to a point and running back then running to a further point and back and so on in intervals. This includes a lot of start and stop motions to help with direction changes and reaction. Net Post Runs: A great one which is regularly used in my club is the net post challenge. You must touch the net post and then sidestep as quickly as possible around half of the table and touch the other net post with the same hand. You must do as many 'laps' as you can in 1 minute. This must be repeated at least 3 times. I'm now 2 weeks into some very serious preparation with a good 3 weeks still remaining. Last Friday I played in the club league and played 4 matches. I was able to win 3 but lost to former US National Team member Adam Hugh who is a very experienced player. I played some more practice games with Adam and Joey Cochran today and I'm really realizing how much I have neglected practice matches in my training and playing of table tennis. Essentially I have just completely overlooked it. I generally have the opportunity to play practice matches on Friday nights in the league but now I find myself playing league about once per month. This means I haven't really been playing any matches at all aside from tournaments. This is a big problem and I believe one that has contributed to a big drop in my matchplay level recently. Fortunately I have the opportunity to play more matches with Adam which is really great for me. Adam was in division 3 with the US team at the 2014 World Champs so he is really the perfect competition for me to be playing against. I managed to push some games to deuce and have some set points but wasn't able to convert any. - Adam told me when playing at a higher level (which div 3 is for me) opportunities don't often arise to win points, you really have to work hard to create opportunities in each point. - I was able to maintain a relatively good service game throughout but receive still needs some work to stay tight. - I seem to be hesitating on the long ball, probably through lack of good footwork. Sometimes a long ball will be a perfect opportunity to open but instead of really pushing for position I will return the ball long, giving away the point essentially. - Because opportunities are harder to create in a tight game, I found when I managed to set the ball up I tended to rush a little too much and miss my opportunities by making simple errors. Thanks to a small amount of match practice I was able to lock down some key flaws in my game. In short if I can identify these problems after playing a few matches, then I should be practicing matches at least 3-4 times per week in a serious environment. I had a couple of days of not so great training after recovering from shoveling a ridiculous amount of snow, my body is finally starting to loosen up so hopefully I can get my mentality refocused and get straight back into things. Call me a pessimist for such a negatively worded post, but these opportunities are becoming less frequent. As much as I love Chinese players, nothing gets me going more than seeing them get beaten, it's a feeling of success even though I had no part in it whatsoever. I decided to post 6 of my favourite moments in Table Tennis where China were overcome in significant fashion or at a very important time. Of course there are many other occasions but here are my 6 favourites! :) Enjoy reminiscing! 2003, the last time a non-Chinese player was World Champion. Schlager, an underdog, comes out on top. A classic moment in time as the Austrian overcame both Wang Liqin and Kong Linghui to reach the final stage where he defeated Joo Se Hyuk. One of my favourite Oh Sang Eun matches where the Korean player leads an almost embarrassing win over China's Wang Hao in the 2008 Asian Super Circuit event. The smooth and fluid strokes of Oh prove more than formidable, leaving Wang Hao with no answers! 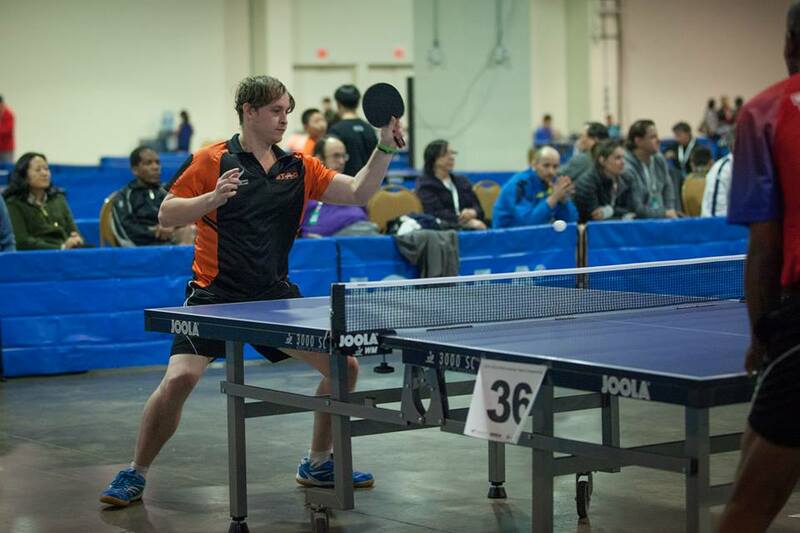 The match of the 2005 World Championships and one that ultimately laid doom to Hao Shuai's table tennis career as Michael Maze came fighting back from a seemingly impossible deficit. One of the matches for the ages from the Danish great, often labelled the 'best comeback ever'. Samsonov proves he still has it in a thrilling clash with Ma Long in the 2009 World Cup semifinal, going on to beat Chen Qi in the final in a show of pure class and fluency. The last true legends of table tennis stood strong for Sweden in 2000, seemingly passing the peak of their careers, but they were not done yet. Persson and Waldner rallied together to produce the last defeat against China beyond the last decade! The ultimate clean sweep. 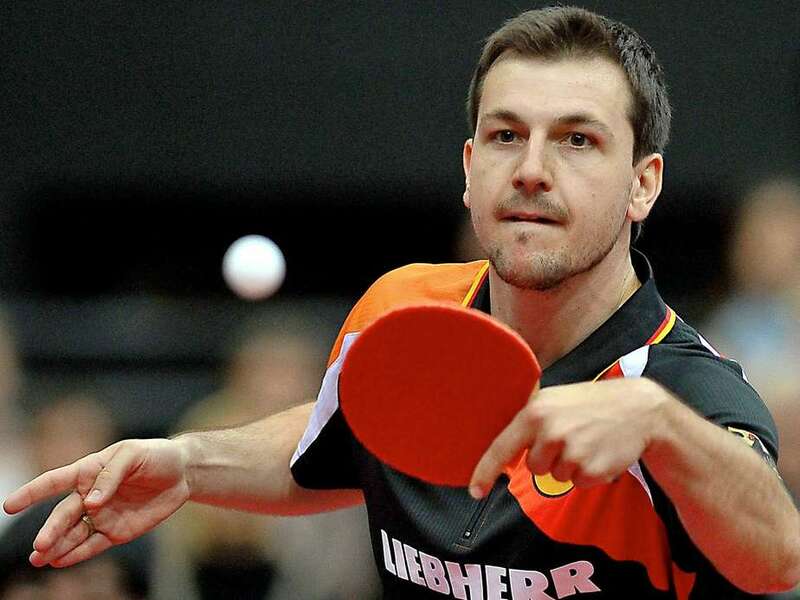 Timo Boll, the king of European Table Tennis, defeats the whole Chinese team at the 2005 World Cup. A quarterfinal win over Wang Liqin, semifinal over Ma Lin and final against Wang Hao to clench what he states in my interview HERE as his best career moment! Today marked one month until I fly back to New Zealand to meet my team. One more month to train enough to be prepared for the World Championships. Today the first problems arose, a lot of stiffness and sore feeling in my lower calf above the ankle on my right leg. I reduced my training to around an hour and a half. 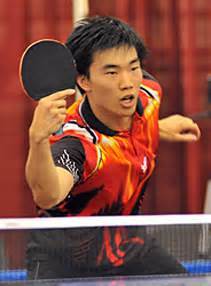 We are lucky to be joined at LYTTC by Joey Cochran who is preparing for the Olympic Trial at our club. I practiced with him a little this morning and we had a great long warmup. He won the 2600 event at the recent Aurora Cup in Chicago. I played with Judy after and revisited my two point forehand drill from the week before. Much to my surprise the quality of the drill this time was much better again. My movement was better and my stroke was more compact, allowing for better transition and recovery. Things that still need to be worked on are stamina and fitness for quicker and longer footwork drills. I'm finding especially in the multiball with Lily that my pulse is just soaring and I'm really losing my breath. Judy suggested I should focus more on quicker burst fitness exercises when I'm doing physical or am at the gym. I played a practice match later in the evening. Need to drop the habit of pushing serve receives out long and playing too loose. In the rallies I played much more effectively, but still presented too many opportunities to attack and overplayed or mis-timed easier balls. The quality of my good play was really good, but just too many unforced errors coming in which need to be addressed. More match practice definitely needed. I've also been enjoying my spare time more, getting out of the club whether it be resting at home, watching movies, eating meals out, sometimes I'm partial to try my luck gambling online and I just found Norsk Casino Info which compares the best online casino signup bonuses. All in all having a better time outside of the playing center has also helped my mentality and focus on what I need to do. MHTT World Champs Buildup Diary: Day 6 Tournament! Today was the first real test for me. Since returning to the USA I haven't performed in tournaments very well, lacking a desire to compete or even to be there. With my new mindset and motivation I was hoping today would be a turnaround point. I entered the Open Singles. Usually I find myself in 3rd seed position in the groups with 2nd players like Amy Wang and Judy Hugh from the US Women's team, never an easy draw. To date I had performed ok in rating events but had failed to qualify in the open singles time and time again. Today I was 3rd in the group again. My opening match against the top seed for the tournament was a cold start and I played too loose with too many errors, it was 3-0 before I knew it. I wasn't in the zone for that match at all but took it as a warmup. Because of the schedule of other events my second match was against the number 2 player. I got off to a confident start winning the first game 11-5 with simple serve and control setups. Now here's where the problems started leaking through. In the second set I was far too comfortable and all of a sudden points just started slipping away left right and centre. Before I knew it I was down 6-0 and I didn't even know what had happened. I switched on and tried to wrestle my way back in but lost the set. Third set I tried to get off to a good start, again 7-0 down what on earth was going on! My execution had gone out the window and I was down 2-1. I had to really focus back onto my gameplan, cut the errors, tighten up and reduce the opportunities for my opponent to attack and start winning points from the very first moment of the set. I knuckled down and pulled out my more third and fifth ball oriented serves and tightened up on my receives, never giving away an easy ball. The shift in control was instant and I won the set 11-6. I knew in the 5th set it would be a real test of nerves and of who could mark their ground first. I didn't look back, I knuckled down and made sure I structured all my points well and played with stability and intelligence. I took the final set 11-2 after a very decisive performance. I beat the 4th player in the groups but was knocked out in the quarterfinal by Li Jian, a very experienced and high level defensive player with OX long pips, in straight sets. All in all my performance was a good start, I didn't give up 2-1 down in my important match and I settled and problem solved even with such terrible runs of losing points. A good day. Today was my rest day from my morning workout so I took the opportunity to sleep in a little bit. Woke up and weighed in as usual and watched some table tennis videos from the Chinese National Team trials. I always find watching matches helps with motivation and with picking up ideas and tactics to use in matches. I had a short training session with Judy, focused mainly on forehand opening and forehand movement. I had a second session with Lily Yip which was really tough. Lily was the top player in the Guangdong team in her prime and was one of China's best. 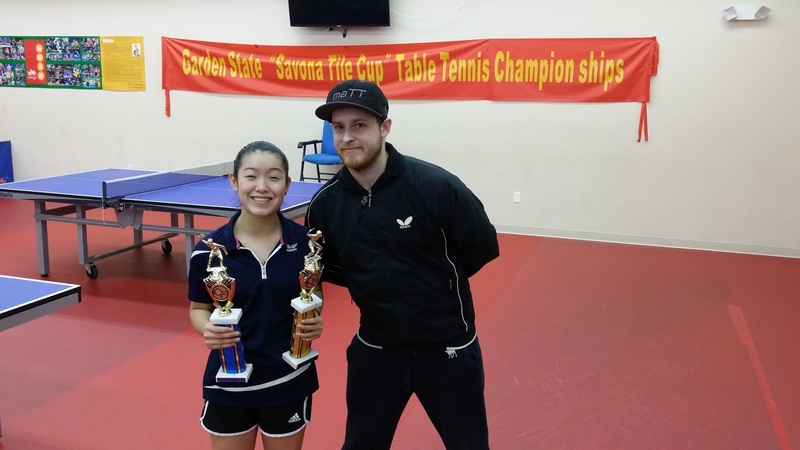 She was a 2 time Olympian for the USA and has an incredible passion for table tennis. Lily has been a great coach for me so far and her club really is my home! www.lilyttc.com check it out for more info! Lily being penhold and short pips has been really good for my game as you need to focus more on spinning the ball and in order to do that your movement and positioning need to be of a really good standard. I did the falkenberg drill and with the short pips blocking (dead ball) it proved to be much more difficult than ever before! By the time I finished I was drowning in my own sweat. I also focused on dealing with service returns and not always preparing for attack after serve, mainly that I need to build more stability into my game, especially in the early stages of the point. That was something I worked on last night and am trying to improve on throughout the weeks ahead. We have a tournament here tomorrow so I'm just playing one event to try and hopefully get into a match mentality and stay in it. Hopefully I can just remain confident and focused no matter what happens in my games. So far I'm happy with the progress and the routine, I've already come a long way since Day 1 especially with my mentality and my motivation/confidence. The complete day. Woke up, weighed in, did another day of core workout since yesterday was mixed up. Seemed harder today but I pushed through it, knowing that in the long term it would be worth it. The thought crossed my mind of how much effort it took to stay in great shape, seems like an inconvenience, necessary though! 11am and I was at the club for training with many time US National Team member, Judy Hugh who is preparing for the US Olympic Trials at the beginning of February. We had a decent 1.5 hour training session. 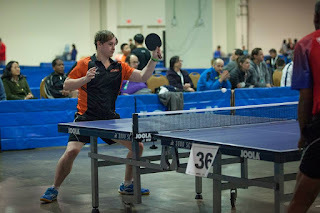 I worked on moving from the middle of the table out wide onto my forehand. My first run through the drill was not as great as I had hoped for and really outlined the need to focus more on that area of my game. On my second drill Judy asked me if I wanted to do the same drill again. I don't recall ever having revisited the same drill in a training session, something I may do again in the future as my second time through was much better. I had a more moderate lunch of some soup and a small appetizer at a Chinese restaurant, much less than I would usually order (I'm quite a food addict). Moderation is going to play a big role in getting myself in better shape. I practiced again in the evening for another 1.5 hours, this time with Barry Dattel. Barry has a lot of experience and knowledge from playing in the USA for many years and training with some very high level players in China in the past. We did some drills and my mechanics on my forehand seem to have improved quite a lot especially on my 5th ball attack. We moved on to some problems I was having in gameplay with my movement and my follow-up on service against particular service sets. All in all it was a very productive session and restored a lot of my confidence. If I can continue to improve the aspects in the session and bring them into my gameplay then my match confidence should increase tenfold. After the 2nd training session for the day I went off to the gym, which I just got home from (late I know). 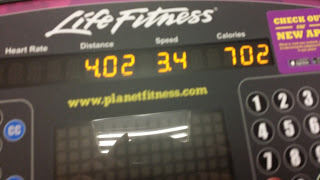 I did another 700 calories of cardio, this time using the ARC trainer for the last 30%. The ARC trainer allows you to increase the height of your stride so that it's more like climbing stairs with resistance. It works your quads and glutes more. Ouch. Happy with my day overall. Confidence is coming back, motivation is starting to grow, hoping I can keep moving forward! The day started in all the right ways. Woke up at 6:30am, weighed in at 8am before mixing my days up and doing my small core workout at 8:30am. I didn't have the chance to practice in the morning as I had to help with some new tables that got delivered and the lighting at the club was being re-done. I went through 3 times. It's nothing too crazy just a small workout to get my day started. This will be my fixed core workout, I may add on to it later on as I become more accustomed to it. I faced my first big dietary challenge today after being offered lunch and thinking of my usual big breakfast bagel, I restrained and turned it down. Water intake was higher today which is something I'm aiming to improve on, no soda. Also good. 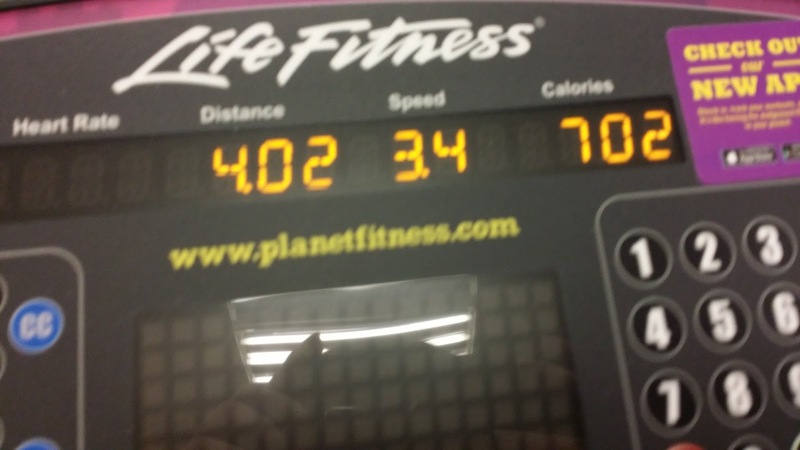 I managed to squeeze in a quick 45 minute hit in the evening before shooting off to the gym where I did 4 miles on the elliptical cross-trainer to hit my 700 calorie target for the session. I know the calorie counts are a topic for debate but it's a good way to aim for something when I'm doing cardio. 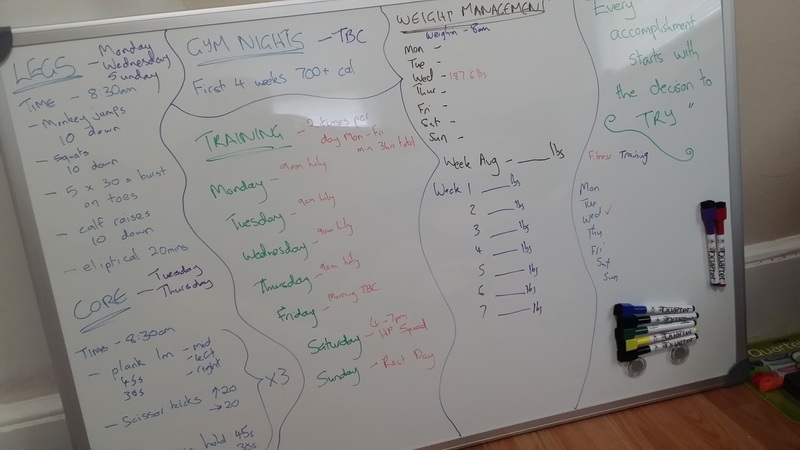 So far my purchase of a new whiteboard has been great, everything is being planned out and as I said, Day 1 of the real hard work was good. Now the hard part is keeping it up and getting more training in! So tomorrow morning will be core workout again (to make up for my mixup) and then practice at 10am and again in the evening! Timo Boll is known as one of the most gracious and humble sportspeople in the world and after having met him in China, I can vouch for that in it's entirety. Timo is a family man, an excellent and experienced table tennis player and a true gentleman. I hope you enjoy my interview with him! 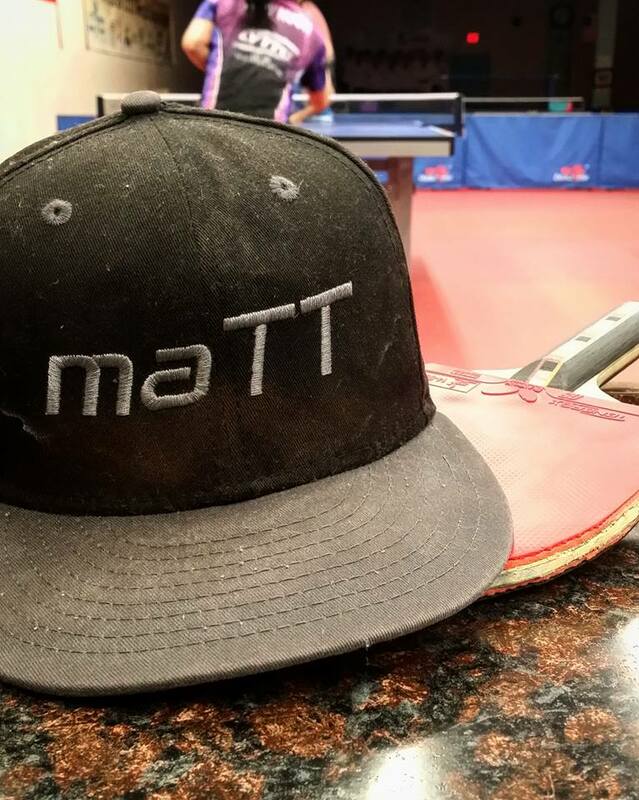 How long have you played table tennis for, when and how did you start? I started at age of 4 at home with my father. You have won 6 European Championships Singles Titles, what is your fondest memory from competing over the years at the Euros? It’s a good feeling if you can handle the pressure and high expectations, especially in the Euros. I think one of the most interesting things that you mentioned when we were in Chengdu was the strange feeling of having competed with 5 generations of Chinese players (from Ma Wenge through to Fan Zhendong). Which player stands out to you as being the most challenging across the eras and for what reason? Maybe Ma Lin, he was very clever and he had a lot of tricky shots. What kind of progression do you see with the Chinese? Do you think their dominance is becoming more apparent over the years? Do you see any sign of hope from other nations to be able to consistently have a chance to beat China in the teams? (including your own team). As a team its very difficult. As an individual on a perfect day, it should be possible to beat them all. One of your most outstanding performances was winning the 2005 World Cup where you defeated some incredibly tough opponents from China. What was it on that day that really made you perform at such a high level? Or what preparations prior to the competition made a big difference? Before the competition I was in a bad shape. I was even thinking about it to cancel the tournament to have a rest. Even in the group stage, I wasn't that strong, but suddenly my run started in the quarterfinal against Wang Liqin! That gave me a lot of self confidence! How do you feel about your ability to compete with the Chinese players now compared to before? Overall how do you feel about your form going into Rio next year? Of course I’m physically weaker than 10 years ago, but my technique improved. It will be hard to beat them all again for me, but if I’m standing in the box, I want to win, doesn't matter which opponent. In terms of your career do you have any concrete plans for after the Rio Olympics? No plans, I will continue to play. More recently you have been playing in the China Super League during the break for the German League and ECL. How has that been overall in terms of your playing level, tiredness and family life? -For the family, it was tough, especially, when I went alone. One thing we know is that you do not eat the meat when you were in China which I noticed again when we were at the China Open. How difficult is it for you to last that period on such a strict diet? Do you feel it has an effect on your energy levels and ability to perform? No, its no problem, I try sometimes to live vegan and it has just positive effects. But I’m a meat lover, so it’s hard to stay strict all year long, especially in the summer in Germany, when I do my barbecue. Do you think the Chinese Super League has given players yourself and your teammate Dima (Ovtcharov), along with Chuang and Joo Se Hyuk, a greater advantage to perform in competition on the world stage in recent years? What are the main differences in being immersed in training and league in Germany and the same in China? Unfortunately it is a short effect for players on that level, when you come back to Germany, in the beginning the balls of Europeans feel slower and weaker. But after a while, this effect is "puffering"
Do you feel like being left handed has provided its advantages to you over the years? What advice can you give to left handers to help them create an advantage over their opponents? No, not a big advantage. If you want to be a good player, your style has to be complete. Your friend and teammate Dima Ovtcharov has reached a peak of 4th in the world rankings so far. What potential do you see/what hope do you have for him to succeed in the future? Its a great achievement already. I think it will be difficult for him to go much higher in the ranking, especially because of his age. He shouldn't play to many tournaments now in his age, better concentrate on the big events and try to get the chance to win a big one! One intruiging thing about you is your ability to pull off some insane hand switch shots. How did that all start, what's the story behind the hand switches? If you could start table tennis again what style would you prefer? Defense/Penhold/Which Hand/Counter/Blocker/Attacker etc. Try to have fun in practice, don't take it to serious, but try to be as perfect as you can. To find the right way in between is the key! Today I spent my morning watching table tennis. I have noticed I haven't been watching anywhere near as much as I used to so it was the first place I went looking for inspiration. I also spoke to a few players and looked for some advice from friends about how to get myself back in the right mind space. Thanks to everyone who has helped so far. One of the important things which helped me today was taking some time to remember the times when I have really worked hard towards my goals and what the results have been. Everything has been too focused on what I feel can't be achieved and it's important to stop now and start focusing on what can be achieved. In the beginning of 2013 I hadn't played table tennis for almost 5 months due to a job (which I quit after 3 months) and then to the first signs of my now diagnosed auto-immune disorder. I spent my time wondering if my body would be able to endure competitive table tennis anymore, would I have to give up on my goal of making it back into the New Zealand team? My temporary prescription was making my heart rate soar up to 200 bpm every time I tried to play. Either way I bounced back with more resolve than ever and for 5 weeks I endeavoured to train no less than 20 hours per week in the lead up to the North Island Championships, New Zealand's 2nd biggest tournament. My hard work paid off and in my second event, where I was 8th seed, I came through winning the quarterfinal 3-0, semifinal 3-0 and final 3-1. I had an incredible desire to win and to show myself that I was not anywhere close to being down and out. Fast forward 2 years and the first national team trial for New Zealand during my time playing comes to life. The biggest chance I would have to get back in the team again. It was at this time that I made my first trip to China, training in Zhengding and Beijing before playing the China Open. You can read more about my trip HERE. After training for 6 hours a day for at least 3 weeks I was in great shape, along with my weeks of gym training before the trip and help from my coach Lily Yip. Upon returning home to New Zealand I continued to play as much as I could. Training at least once a day, playing tournaments most weekends. I read the book 'Winning Ugly' by Brad Gilbert which I reviewed HERE. I was able to prepare my best and tie for 2nd place in the team trial which eventually led to my selection for World Championships. I did a few boxes of multi-ball at the club, mainly just trying to stay focused on keeping the ball on the table and movement, but more on trying to get into training and get positive. This is my main focus for now is getting and staying positive in practice and in matches and just building the desire to play and win. As many of you know on February 28th I will be playing the World Championships in Malaysia. 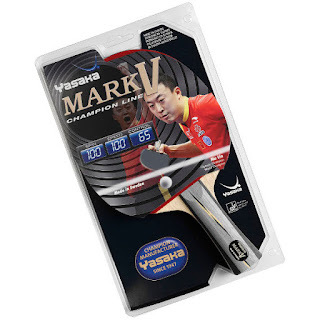 At 25 years of age, this will be my first WTTC, something I have aspired towards for my whole table tennis career. At the conclusion of the National Team trials I was out in the cold after coming 4th on a 3 way tie for 2nd. Three had made the team from the trial. A month later I was given the selector's choice and made the team. So where am I now? 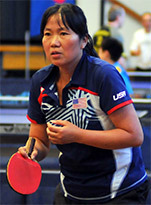 I'm back in the USA at the Lily Yip Table Tennis Center balancing coaching and training. Things have been pretty tough and I'm feeling a lot of pressure, I'm hoping by writing a diary I can be as honest as possible as what I have and will be going through in my buildup to the WTTC and Oceania Champs. The hardest thing to overcome is fear and trust me there is plenty of it. At 107th in the world team rankings we are competing in a tournament with the world's top 96 teams. We are in the third division out of 4 thanks to the results of our previous (2014) team. Every match will be difficult and of a standard higher than mine, do I have enough time to raise my game enough to have a fighting chance? I'll be honest I've been pretty negative in that aspect of my preparation and as a result my mental game is at its lowest point of my whole career. In all honesty I'm letting too many small things affect my preparation, single match results, performances in one session of training etc. Everything has detracted away from my purpose and left me in a very difficult position. Now I'm finding that I need to find more motivation than ever to get refocused. At this point in time I need to take more of my own advice. I need to set my goals and make things measurable. Keeping a diary at least holds me accountable and if I don't want to sound like a sad, depraved fool for the next two months I will have to start getting myself together. Ideally my primary goal for the championships is to win a match, that is my first focus for the tournament. Training has just been training, I have been working hard but there needs to be more intention in my training. There are a number of levels I need to jump up with my training regime which I haven't yet. Essentially I am not pushing myself enough. The brutally honest core point of this whole thing is that in my own mind I don't believe I can achieve my goal, so I'm asking myself why I'm putting in all this effort. That and that alone is the main cause of the ultimate collapse in my mentality and motivation. It's time to change that! 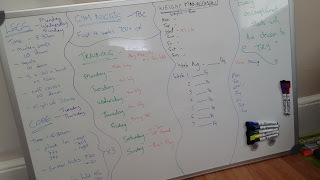 I needed something to keep my blog alive and people suggested a training diary, an honest training diary, and that is what this will be. Hopefully you will all enjoy my many ups and downs in the next couple of months as I try and lift myself and get ready to compete in Malaysia. I will try and blog as often as I can, ideally I should be able to write a blog every day and I think it would be good for me, kind of like a confession cam.